Do you want to make the best coffee at home? Do you own a cafe and want to improve your coffee business by leaps and bounds? If you are interested in getting some real training on being a competent Barista, drop me a line and I will hook you up. Time Frame: 2 half day session (total = 8 hours). This entry was posted in Barista, Coffee, espresso, Malaysia on November 16, 2007 by KF Chan. Lot’s of changes has happened to the coffee scene in Malaysia since 2007. Excellent Coffee Machines have reached our shore in Malaysia. Check out these great machines HERE. Allow me to qualify “Best”. 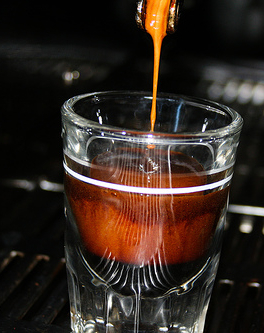 The Gaggia home espresso machine is the best in terms of the price and functionality. Range from RM2000 to RM2500, these machine can make espresso that is as good as those big commercial machine you see in Starbucks, Dome or Gloria Jeans. In fact, I consistently make better coffee than those big coffee chains. With the above conditions, you can always make better coffee at less than RM2. ETC Concept is having a roadshow at Isetan, KLCC. If you are Isetan Club Members, they are giving you RM200 discount. It’s a bargain. 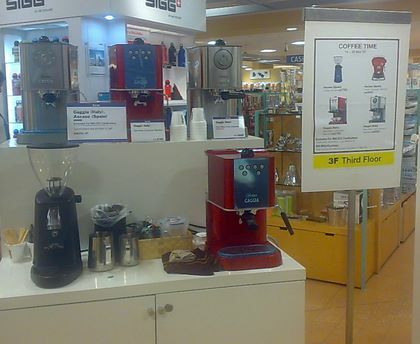 I also heard that they current have a second-hand Gaggia Classic for sale at RM1500. Grab it while it is hot. This entry was posted in Coffee, espresso, ETC Concept, Gaggia on November 15, 2007 by KF Chan. 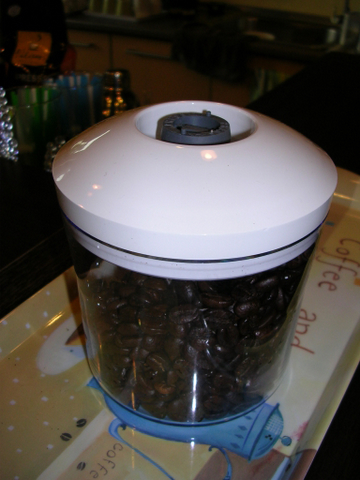 Some of you have asked where to buy an appropriate container to store coffee. 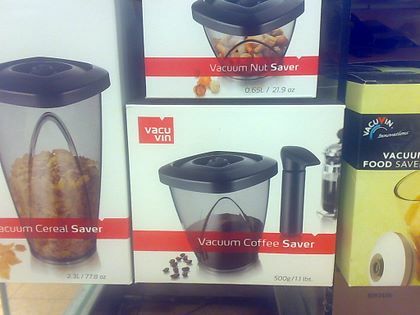 Well, here’s the Vacuvin Coffee Saver. There have different sizes and shapes. In fact, you can use it to store many, many different types of food. It kept them fresh and crispy. This entry was posted in Coffee, Coffee Beans on November 15, 2007 by KF Chan. espresso world, you know who you are. definitely daft. It cost less than their RM10++ latte a day. Of course, their high standard of espresso preparation is on the way “DOWN”, since their policy to switch to Super-Auto machine. Click here for details. Usually I don’t fancy their ICE-Blended drinks. Too sweet. But that has just changed. Enter their Blackberry Green Tea Frappe. Nice. In fact pretty nice. Give it a try but it cost more than a RM10++ latte. I think at least RM14. 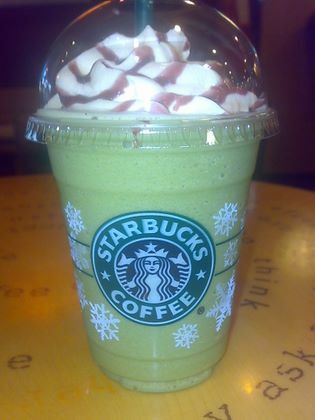 This entry was posted in Ice Blended, Malaysia, Starbucks on November 5, 2007 by KF Chan.